Sooo I've always been a huge fan of The Girl That Loves, but I have to be honest with y'all. I'm not feelin' this dress. It looks way better on their model than it does on me, haha! I don't know. IMO there's too much volume in general, and the top makes my chest look really strange in person. Please don't let this review discourage you from checkin' out their line though. I've reviewed SEVERAL of their pieces, and all of them (until now) have been SUPER cute. This is seriously the only piece I've disliked. PS. Don't forget to enter my INTERNATIONAL giveaway with Bar III here to win a $180 moto jacket. YAY! I officially have a tulle skirt in my wardrobe! I absolutely love the layers. Way to go, The Girl That Loves. If you guys haven't checked out their selection, you need to STAT. They have the cutest stuff. I can't deal. Tulle skirts are so fancy - I mean that in a good way FYI. They look great dressed up and all, but I wanted to style it casually for today's post. Hence (haha, I wrote "hence"), I paired it with a cool graphic tee and a BAMF moto jacket and then threw on a bomb statement necklace and a pair of sweet heels to cap off the look. Accessories FTW! 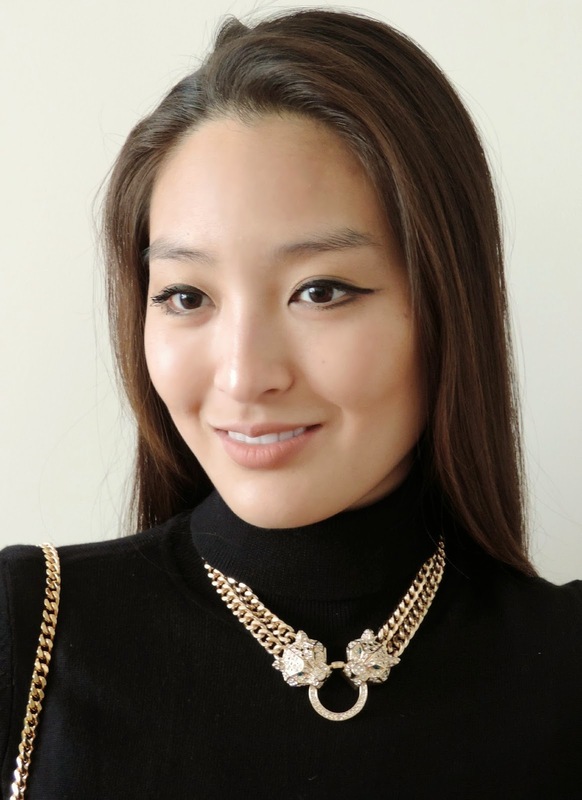 A closer look at my new statement necklace courtesy of Armed and Readi! This piece may look familiar - I featured it on my "Weekly Roundup" a couple days ago! Anywho, I blast my roundup every Sunday. Check out the series to see a list of fab giveaways, links, and sponsor must-haves. 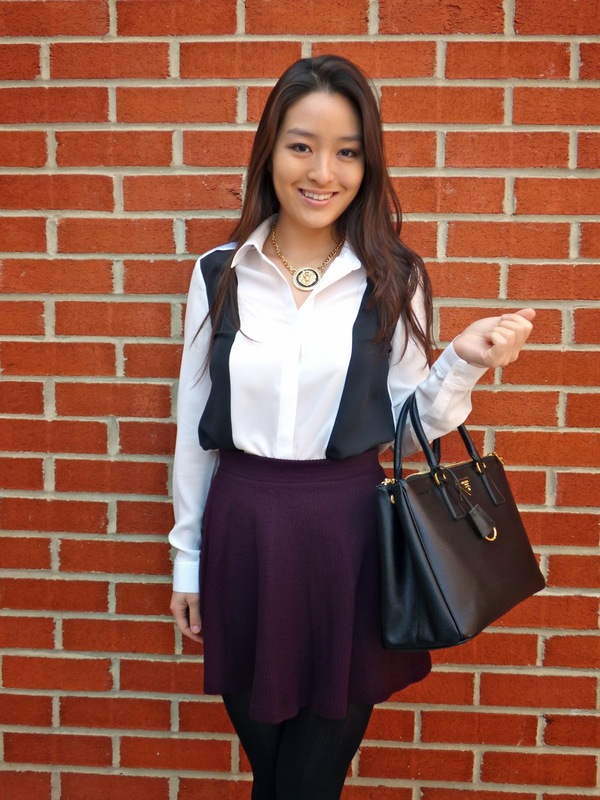 I also feature my weekly "Fashionista" winner on that post so don't miss out! Skater skirts are SO money. They're super flattering, and they're comfy as hell. In fact, they're probably the comfiest things you can buy in stores - yoga pants don't count! Yeah, that's right. I went there! I know that's bold, but it is what it is! I highly recommend purchasing pieces in different colors and patterns. Stores like Charlotte Russe and Forever 21 have a ton of affordable options online and in-stores! I promise you, they'll be mad handy in the spring and summer! Soooo, my camera broke earlier this week. BOO! I was really bummed, but luckily my mom was in town so I quickly picked up a replacement at Costco. I'm not crazy about the photo quality though. I think I'll have to return it because it's just not cutting it. What do you guys think? Can you see the difference? A closer look at my Winky envelope clutch. The chain crossbody option makes the piece super versatile: perfect for a night out and equally fabulous while running errands. Winky Designs has generously offered to give Sensible Stylista readers an extra 10% off their purchase. Simply enter SENSIBLESTYLISTA14 at checkout. Offer valid until March 14th.